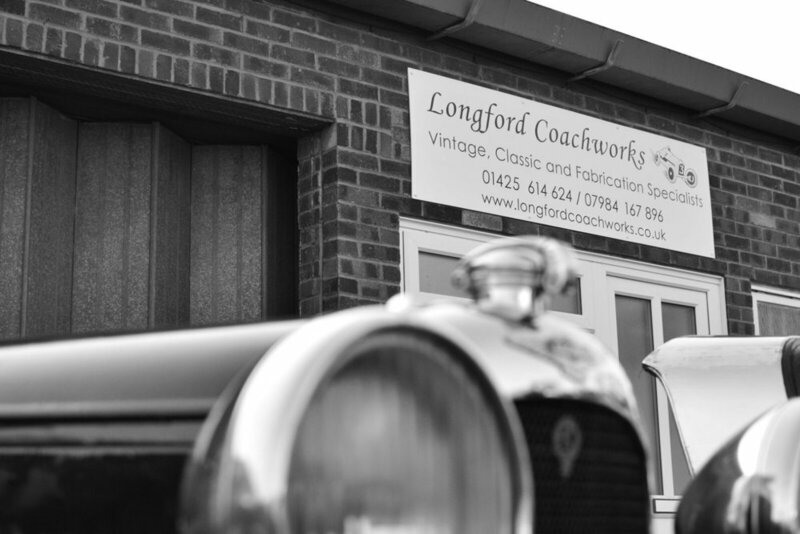 Longford Coachworks are specialists in the restoration of classic and vintage cars, with 18 years experience. I am happy to quote on anything from replacing a missing panel/part to a full rebuild. We are all individuals and a classic car is often an expression of this. What do you want from your car? Originality is a priority but, if required, the car can be sympathetically modified to suit your taste. Where possible, modern techniques and materials can be incorporated into a rebuild to produce a car that looks original but will help resist the rigours of modern day motoring. I am happy to provide an estimate from photographs or I can come to you to assess the condition of your car if needed. Using experience gained of a range of marques including Alfa Romeo-from 8c's to the recently unveiled 158 Grand Prix car, Aston Martin, Bugatti, Bentley, Jaguar, Lagonda, MG, Rolls-Royce… you can be assured you will receive the highest level of quality. As a small business you can be assured you and your car will receive my complete attention and the highest possible quality of work.